In the late ’80s when I first began contributing to commercial products at Spaceward I came across a book which opened my eyes to the issue of how we interact with products and particularly software products. It was “Readings in Human-Computer Interaction” edited by Baecker and Buxton and changed the way I thought about my products in a fundamental way. Bill Buxton’s latest book has had a similar effect. 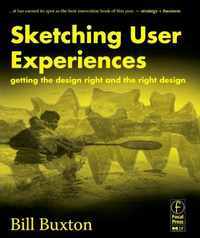 Reading “Sketching User Experiences: Getting the Design Right and the Right Design” feels like leafing through a designer’s sketchbook, a sketchbook of a lifetime of contributing to designing high tech products. Ideas come at you from all angles and then drill down into incredible detail before spinning off in another direction. Bill Buxton has worked at both EuroPARC and Xerox PARC, Silicon Graphics, Alias Wavefront and most recently Microsoft Research. He has been lecturing and writing on the human computer interaction for 30 years. Buxton is passionate about technology products and equally passionate about the role of design in creating successful products which are a pleasure to use. He describes a role for design from the very earliest stages “sketching” new products and what interacting with them might be like. He describes how these sketches can be on paper, on glass, cut out of cardboard, in short videos, photomontages, post-its, games, pantomime, almost anything. He gives detailed examples of how these have been used to develop the user experience in numerous projects, many of which have developed into products. A core message of the book is that the design process requires experimentation, with the expectation that experiments will fail and that the design team will learn a great deal from that failure. These experiments are often in the form of role playing, where members of the design team try to take on particular roles, trying to achieve particular aims within the limits of the current design experiment. Buxton puts all of this within the wider context of the commercial success of a product. One of his case studies is Apple and in particular the iPod. 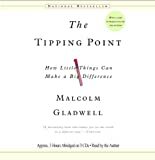 Here he charts its history from earliest release in October 2001 through a tipping point in the second half of 2004. To make the commercial point he puts this against the iPod revenues and volume and Apple’s stock price. One key lesson from this case study is that the iPod was no overnight success, but took four generations before it had a dramatic commercial impact on Apple’s fortunes. A recent article in the Harvard Business Review describes the innovator’s DNA as being made up of Associating, Questioning, Observing, Experimenting and Networking. There is plenty of evidence here to suggest that Buxton has spent his life doing all of those things and more. Mixing a passion for technology, software engineering, human computer interaction (HCI), music, art, design, mountaineering, the outdoors and more. For those of involved in the design and development of software products, this book has a lot to offer. It offers us ways to experiment with the user experience, refining our approach with each iteration. It gives us ways to perform these experiments and to evaluate them, whether we are drawing user interfaces on paper, or laying them out in a GUI design tool. It also offers many, many examples to help us find new ways of thinking about our products. Finally, and perhaps most importantly, it offers a strong argument as to why design should be at the heart of product development, from initial concept through to shipping and beyond. I’d recommend it as a resource to anyone involved in technology product design. This entry was posted in book review and tagged Book review, design, product definition, UI, users. Bookmark the permalink.